Terry Hines, Rosemarie’s husband, served in the United States Marine Corp. and did two tours in Iraq during the war. On his first tour to Iraq in 2004-2006 he was a gunner doing convoy security and they completed 322 Missions all over Iraq. His base camp was Camp Taji. On his second tour to Iraq in 2008-2009 he was a communication Operator at Camp Liberty. 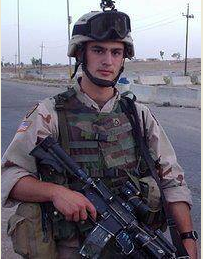 After returning from Iraq from in 2009 he severed with the Alabama Honor Guard (Military Funeral Services) for 3 years. Robert Ray Kennedy III, my younger brother joined the Army during his Junior Year of High School. He had to get my parents’ permission to enlist because he was not event 18. He took classes to advance his entry ranking and accomplish his dream of fighting for our freedom. He proudly served in the 25th infantry division, 1st Brigade, C 1/5 infantry where the Stryker became his best friend. He fought under MOS: 11B infantryman in the bloodiest battles in Iraq: Mosul (November 8-16, 2004) and Fallujah (Phantom Fury). He was also in the FOB Marez Mess Hall Bombing. We (his family) went days aware of the bombing and death toll but with no word from him. The soldiers were under a blackout where no one could speak to their families until the deceased families were contacted. He still suffers from PTSD, a traumatic brain injury, seizers, loss of hearing in his left ear, and a back injury/disability. 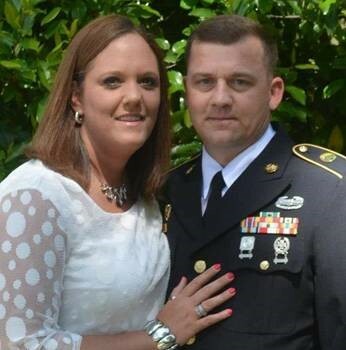 He received his Masters in Social Worker from The University of Georgia and currently works at the VA Hospital in Anderson, SC as a Licensed Master Social Worker treating others suffering from PTSD. This entry was posted on November 11, 2014, 8:56 pm and is filed under Uncategorized. You can follow any responses to this entry through RSS 2.0. Both comments and pings are currently closed.